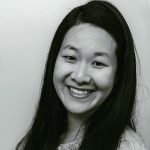 Published Jun 21, 2017 By Julia 47 CommentsThis post may contain affiliate links. I love this Instant Pot beef stew dish: it’s an easy, simple, and incredibly comforting beef stew with vegetables like pearl onions, carrots, potatoes, and mushrooms. 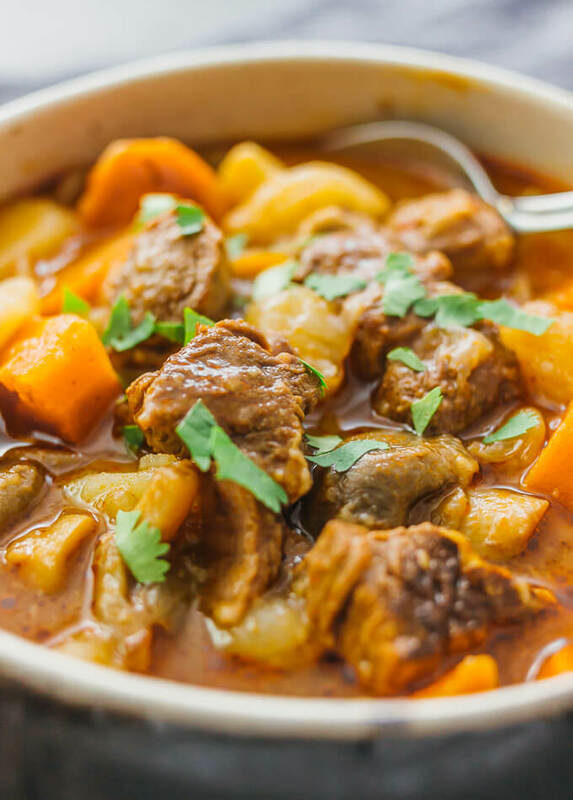 Beef stews are one of my favorite cold rainy day, curl-up-on-the-couch dinners. Think Hungarian paprika beef stew and Cuban beef stew (ropa vieja). 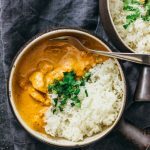 It’s also one of the first recipes everyone always asks me about for the Instant Pot: “Hi Julia, your Instant Pot artichokes/salmon/chicken tikka masala looks great! 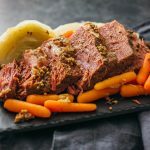 But… do you have a recipe for how to make beef stew in the Instant Pot?” It makes sense; beef stew is one of those recipes that really makes the Instant Pot shine. You don’t have to cook for hours to get really tender beef; just 35 minutes. You can brown the beef and pressure cook it all in the same pot, so that means fewer dishes to clean. 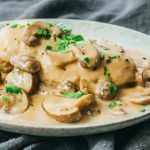 I use the Instant Pot, but you don’t have to — any multi-cooker with a saute and pressure cooking function will do. 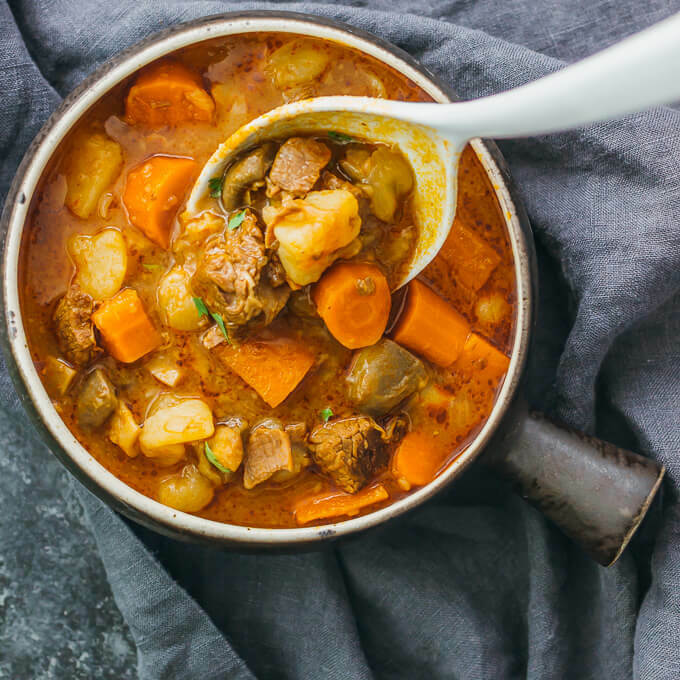 You will love the texture of this pressure cooked beef stew: meltingly tender chunks of beef with very soft carrots, potatoes, and onions. Plus, bites of juicy mushrooms. It really doesn’t get better than this. I think the stew is thick and hearty, but if you like it even thicker, you can just add less beef stock to the pot. It’s always easy to thin it out later if it isn’t to your liking. I recommend serving this beef stew with biscuits, a simple salad like this Greek salad, or loaded mashed cauliflower. All good choices and all so delicious. 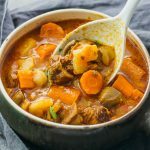 This Instant Pot beef stew is an easy and simple stew with vegetables like pearl onions, carrots, potatoes, and mushrooms. In a bowl, toss beef chunks with flour until coated. Add butter to the pressure cooker. Turn on the saute setting at medium heat. When the butter is melted, add beef chunks. Cook until browned on all sides, about 5 minutes, stirring frequently. Add beef stock to the pot, stirring well and breaking apart any beef bits stuck to the bottom of the pot. Add salt and tomato paste, stirring until dissolved. Add remaining ingredients (frozen pearl onions, carrots, potatoes, mushrooms) to the pot. Stir. Close and lock the lid on the pressure cooker. Select the meat/stew function and set the cooking time to 35 minutes. When finished, let sit for 10 minutes to naturally release the pressure before using the steam release handle to vent. Open the lid and stir. Taste and add additional salt if needed. Serve hot and optionally garnish with chopped parsley. Using some red wine sounds delicious. I would sub some of the beef stock with wine, which will help deglaze the pot as well. If I double this will it fit in 6qt instant pot? And should I increase cooking time? I don’t think it’ll fit in a 6 quart Instant Pot. The pressure cooking time wouldn’t change. I made this tonight. I changed the recipe by omitting the mushrooms, used half of the bag of pearl onions, added celery, and also added a half bag of frozen mixed vegetable. It was delicious ! Is this calling for beef broth or beef stock? 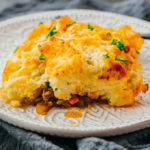 I made this for dinner tonight and Oh my goodness, we loved it. We’ve already decided we need it on our menu once a month. I left out the mushrooms this time because hubs doesn’t like them and the only other change I made was that I used 8 ozs of tomato sauce because I didn’t have pasts. I’m giving it all 5 ⭐️⭐️⭐️⭐️⭐️s. 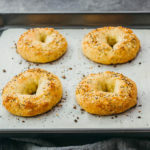 Can this be cooked in the 3 qt instant pot? No, I don’t think the ingredients would fit. 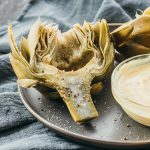 You could try halving the amount of ingredients and keeping the pressure cooking time the same. The tomato taste isn’t strong. 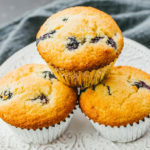 You can use less, like 1-2 tablespoons instead of 3.